An idiom is an expression that means something other than the literal meanings of its individual words. Here is a native idiom for you to learn and use. Enjoy friends! 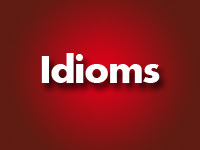 Un idiom es una expresión que significa algo diferente al significado individual de cada una de sus palabras. Aquí hay un idiom (frase hecha) nativo para que aprendas y utilices. Disfrutad amigos. Practice this idiom in the comments bellow! Ever since she told him he was going to be a father he’s been on top of the world.